Click For More Info 1999 - 2000 SILVER SERAPH ALL V12 5.4 ALL ALL ALL DENSO is the OE supplier for this vehicle; OE-specified Oil included. The compressor is the heart of an auto’s air conditioning system, circulating the refrigerant that is vital to proper operation. It’s a precision machine, with critical internal tolerances as fine as those of any racing engine. 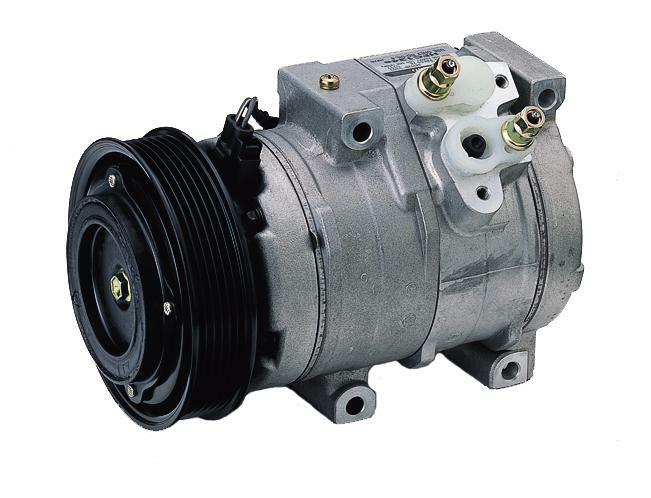 One of the world’s leading suppliers of A/C compressors for automotive applications, DENSO also offers both factory-new and remanufactured compressors to the repair industry and consumers as well. When it comes to new compressors, you can’t do better than going with a unit manufactured by the OE supplier. At DENSO, we know these units better than anyone because we originally designed them. Factory-new compressors make up 85% of our coverage. In addition to our superior quality new units, some applications are covered by a DENSO remanufactured compressor. Each goes through a rigorous remanufacturing process to meet DENSO’s strict standards for quality. If the part does not meet our stringent standards, it is replaced with a factory-new component or the part is scrapped out. All of our remanufactured compressors are coreless, so you don’t have to worry about handling cores and the added costs associated with them. As always, these units are built right the first time, so they last longer and perform better. DENSO First Time Fit® A/C compressors are engineered to meet all manufacturer’s standards and the company’s own rigorous standards. DENSO compressors are so highly regarded that lookalikes and counterfeits have appeared on the market. Don’t be taken – demand a genuine DENSO A/C compressor.